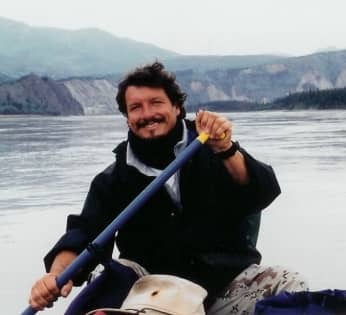 Adventure Alaska was set up to provide unique personal experiences in the Far North to the discriminating traveler wishing to experience something different from the offerings of conventional tour operators. We have limited our trips to very small groups and have focused on a handful of the North’s treasures – many traditionally bypassed for their limited accessibility. All are based on a spirit of adventure and exploration. Adventure Alaska promises an Alaska that most will never see – for those with that spirit of adventure and flexibility, we hope that you will come join us and let us share this very special corner of the planet. We go to great pains to find those that believe in what they are doing, because they are the basis of your experience as well as ours. This means that each is older than the industry norm and extremely knowledgeable on the areas visited, as well as the activities involved, and not simply a college kid from somewhere else, looking for a summer job. All are more qualified than you might expect, from safety training to natural history to just plain interesting. Most are multi-lingual with excellence in French, Spanish, German and Dutch. Our longest serving guide extraordinaire, Patrick has been leading trips with us in consummate fashion since 1993 (it is a lifestyle). Originally drawn by the wide open spaces, Alaska’s unique sense of freedom and possibility early on captured yet another, and he’s been back every year, ever since. Having led numerous times all of the itineraries, past and present, he by now knows more nooks and crannies across Alaska and the Yukon than most locals. The “other” season is spent reacquainting with a revolving set of favorite winter haunts, from California to Australia to Europe. 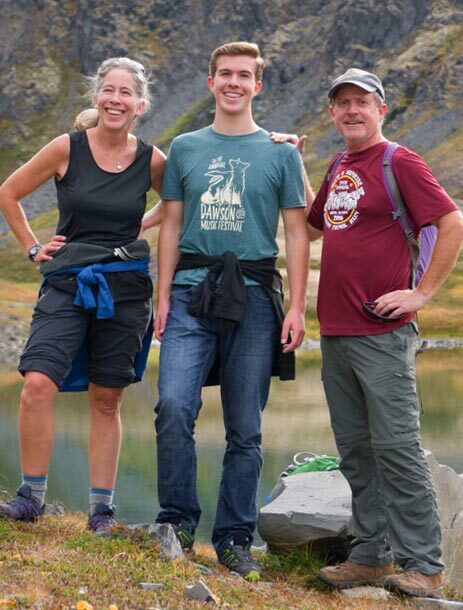 Chris and Kathleen Jones are our full-time “part-timers.” This couple has been guiding tours for Adventure Alaska since 1994 and love to share their lifelong experiences in our great 49th state. They both are now retired so they pack as much as possible into their summers, including hiking, biking, kayaking, fishing, camping & exploring. Chris is a retired sport-fishing guide, having led fine folks for nine years on some of the best salmon streams in South Central Alaska. They enjoy spending time with their two grown children, Katy and Danny….and spoiling Liam, their favorite Hope, AK son! After a harrowing summer season leading tours for one of the large, cruise ship organizations in Alaska, Sheri came to us in 2000. 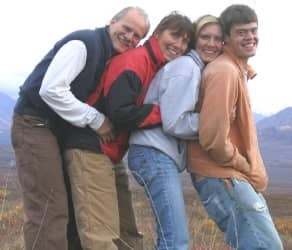 Her claim to fame and proudest moment as a guide was officiating the marriage of two passengers during a Day Hiker Adventure. 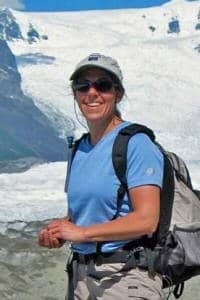 Aside from umpteen seasons in Alaska as a guide, she has also led tours in the Northeast during fall foliage season and in California, and has acted as expedition leader for expeditions in Africa and South America. When she isn’t in Alaska, she and her Dutch husband, Michiel (who also supports Adventure Alaska as a multi-faceted sort) have worked for many seasons at McMurdo and Palmer Station in Antarctica, and now work on small expedition cruise ships, she as Expedition Team Leader and he as the Information Technology Officer.